This practice showed exemplary teamwork in its one-stop approach to reviewing patients with more than one long-term condition. The semi-rural area covered by the South Holderness team has high levels of deprivation, with prevalence of conditions such as diabetes running at 6.7 per cent. In April 2010 it launched an innovative approach to the problem, bringing together GPs, nurses, pharmacists and the patients themselves, to improve the quality and efficiency of care. Over the past year it has completed combined health checks on more than 1,000 patients. The process starts with patients being called for an annual review. Beforehand, their record is reviewed by the pharmacist to check for inappropriate and missing prescribing, and opportunities to be more cost-effective. A GP also reviews the current management of the patient to suggest changes in medication prior to the nurse review. The patient is given a health needs assessment questionnaire to complete before the appointment, to ensure the nurse's time is focused exactly on their requirements. This single, 25-minute appointment with the nurse covers all of the patient's long-term conditions, including screening for depression and AF. The suggestions made by the GP or pharmacist are also negotiated with the patient. The information gathered is then recorded on the computer system using surgery-designed templates. An agreed personalised care plan for each condition over the following year, is then printed off for the patient. Patients are given a yellow folder to keep all of their health-related information, and appropriate referrals are made to community services. All patients who went through the health check were asked to complete a satisfaction survey. Some 89 per cent said they could now better understand their long-term condition, and 88 per cent believed they were now better equipped to maintain their health. The practice also carried out an analysis of 50 patient records following the review, which suggested a saving of £76.40 per patient per year from reductions in inappropriate medication and more cost-effective prescribing. Dr Fitzsimons said the overall aim of the scheme was to reduce hospital admissions, and that he was 'quietly confident' this would be the case once the data were available. The local PCT is rolling out aspects of the scheme, and Dr Fitzsimons said the project could be divided in to 'bite-sized chunks' for replication more widely by other practices. 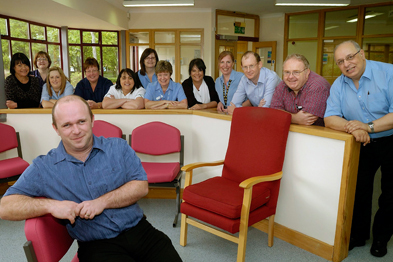 The next step for South Holderness is to expand the concept to patients with single long-term conditions.